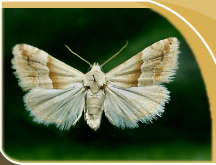 Esperiana is a peer-reviewed international book series for publication of high quality papers on any aspect of systematics, taxonomy, faunistic and biogeography of insects, with a preference to Lepidoptera of the Old World. It has a preference for large taxonomic works such as monographs and revisions. All manuscripts are subjected to peer review before acceptance. All papers are issued and bound in consecutively numbered volumes with ISBNs. Der Name der Buchreihe Esperiana leitet sich von dem bedeutenden fränkischen Naturforscher Eugen Johann Christoph Esper (1742-1810) ab. Esper war als Professor für Philosophie und als Direktor der Naturaliensammlung der Universität Erlangen tätig und veröffentlichte von 1776 bis  sein berühmtes Werk „Die Schmetterlinge in Abbildungen nach der Natur mit Beschreibungen“. Ziel der entomologischen Reihe Esperiana/Esperiana Memoir ist die Veröffentlichung wissenschaftlicher Arbeiten aus Systematik, Taxonomie, Faunistik und Biogeographie. The title of the book series is derived from the eminent naturalist Eugen Johann Christoph Esper (1742-1810) from Franken, Germany. He was professor of philosophy and director of the ”Natural History Collection” of the university in Erlangen. From 1776 to about 1830 he published his famous book series ” The Lepidoptera in Illustrations based on Nature with Descriptions”. ESPERIANA 20/1: 744 S.// 20/2: 430 S.